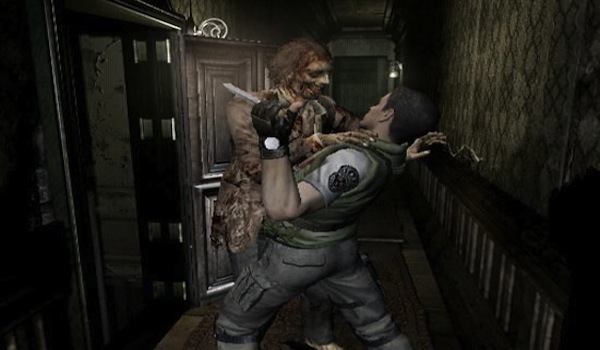 The Resident Evil series, despite its action-oriented outings, is definitely the king of survival horror. It didn’t exactly create the genre, but it did make it relevant to gamers and critics alike. The series celebrated its 15th anniversary this year, and we’re currently right in the middle of a time period where we can safely say that it’s a good time to be a Resident Evil fan. But then again, when is it not? Next year we’ll be receiving two big entries in the series with the release of Resident Evil Revelations on February 7th and Operation Raccoon City on March 20th. The former providing a true survival horror experience, one that’s shaping up to be the game that will take the series back to its roots. The latter, on the other hand, is a squad-based shooter, aiming to take survival horror to the next level. Obviously, for series’ loyalists, Revelations is the game that’s anticipated the most, seeing as how the last major entry, Resident Evil 5, wasn’t actually traditional per se, leaving fans to clamor for the series’ return to pure survival horror. After 15 years of Resident Evil, we’ve been graced with some true survival horror gems, one of the greatest games of all time, a remake that served as the perfect example of what a remake can be to its original source material, and a game that polarized the fanbase. So, which game is the scariest? Here’s a hint: I already alluded to it in the previous sentence. My personal pick for the scariest game in the series definitely has to be the remake of the original game on the GameCube. Released in 2002, REmake was a game that many fans and GameCube owners in general were ecstatic about. Not only was this a full-blown remake of the original game, complete with new features, but it was also a game that helped push Nintendo’s lunchbox console closer to the outskirts of its “kiddie image.” Yeah, the GameCube housed first-party Nintendo classics like the Marios, Metroids, and Zeldas, but now it had a completely mature game to call its own– and can continue to do so since the game’s yet to leave Nintendo’s ownership along with Zero. One of the key differences automatically apparent was, obviously, the visuals. REmake truly put the GameCube’s graphical capabilities to the test, resulting in one of the best-looking games on the platform. Prerendered backgrounds were still utilized, as was the case with the original trilogy, but the developers somehow (possibly with the power of some form of alien life) found a way to successfuly mesh polygnal objects with said prerendered backdrops. This meant that you could actually see little effects brought forth by fully animated objects interacting with the background– like blood splattered on rugs, grass swaying in the wind, and realistic shadows. I won’t even dare get into the techinical aspects of all this and how it works, but I’ll just say that it lend itself greatly to make the game’s atmosphere one of the most horrifying brought forth by a video game– and is yet to be rivaled by any of the entries in the series that followed. But what makes this REmake so scary and a survival horror masterpiece? Well, many things in fact. From the technically enhanced atmosphere, complemented by a haunting soundtrack, to the actual horrors you’ll face as you make your way through the game: from regular zombies rendered to gruesome detail to other more threatening BOWs, the REmake truly stands as one of the best survival horror games of all time, but leaving it at just that would be doing a huge disservice to its greatness and importance, so I’ll go in-depth with my reasoning. But I’ll warn you beforehand just for the hell of it: there’s spoilers ahead, but that shouldn’t really matter since I’m more than sure that many of you have already beaten the bajeezus out of the game, like me. If not then…you’ve been warned! The original game’s intro was beautifully remade with the REmake, and it led to a horrifying, and bizzar (typo intended! ), set-up to a trip down memory lane, albeit one with many new things not confronted or experienced in the original 1996 release. And that was actually one of the major reasons why this game was, and continues to be, so scary: you didn’t know what to expect around every corner once you realized how the developers added in many new things and placed enemies in different locations, so much so that even diehard fans found themselves having to learn the ins and outs of the classic mansion all over again. The mansion, for the most part, was as you remembered it. But this didn’t mean that alterations weren’t also made to the original Trevor design. 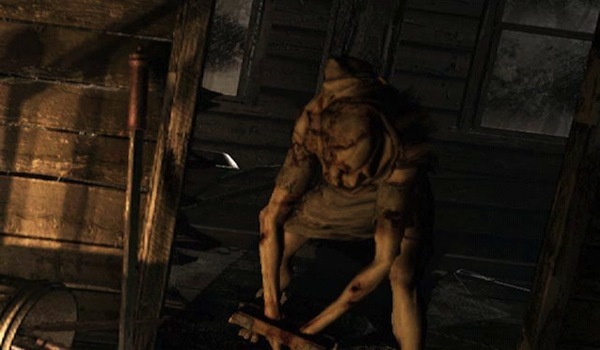 We got to explore wholly new areas of the mansion not opened before, and even got to venture outside of it– which lead to one of the game’s scariest moments and also introduced us to one of its scariest enemies, and thus, one of the scariest BOWs in Resident Evil’s history. This outside woods area actually proved to be one of the scariest in the game: you didn’t know what to expect as you heard dogs’ distant howls and zombies’ disturbing moans around you. And, of course, once you got to the cabin in the woods, you were faced with an unsettling creature, but I’ll get to that in a bit. 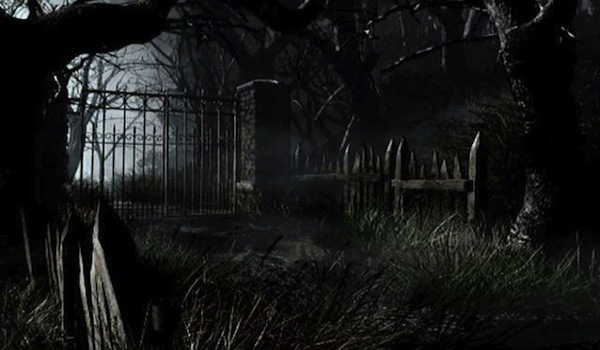 The woods section of the game wasn’t the only scary segment, just about all of the ground covered brought about its own fair share of scares, not always relying entirely on cheap pop-out scares, mind you. But you still had that classic jump-out-of-your-seat scene with dogs bursting through the glass in that dreaded hallway, along with other similar scream-worthy scares! And it didn’t help that you also weren’t faced with an abundance of resources. This was a survival horror game in every sense of the word. You always had to make sure you paid close attention to your ammo count and health supplies, and you always had to make sure that you were wasting said ammo only in necessary situations. Since ammunition was scarce, you didn’t want to go around shooting down every zombie you faced, instead, you had to strategically pick out the ones that were truly obstructing a path you really needed to go through more than once. Like in the area directly above the dining room; here I just took down one of the zombies and left the other one to roam around on his lonesome. And speaking of strategy, the REmake also granted players new items that upped the ante in terms of survival. Both Jill and Chris now had access to new defensive weapons that definitely came in handy on more than one occasion, and served as very reliable last resorts when you had no more bullets left to spare. These weapons are the flash grenades and daggers, for Chris and Jill, respectively. The former works in a beautiful, gory fashion, allowing you to place said grenade in a zombie’s mouth and then shoot it, resulting in an explosion that should definitely make one hungry. While the former is good to push zombies back a bit, sort of replacing a true melee attack (it’s definitely more useful than a regular knife slash when used properly). Both these defensive items served to add even more tension to what would otherwise be standard bouts with the undead made pointless to carry forth with after you ran out of ammo. Now, you actually had one last chance at survival. And speaking of the game’s enemies, the REmake’s BOWs are yet another reason why the game is a superb showing of true horror. Yeah, we’ve seen zombies many, many times before, even in different mediums, but here they were really gruesome-looking, especially the Crimson Heads whose behavior wasn’t unlike Resident Evil 3’s Nemesis. These new variant versions of the classic zombies were much more deadly than they may appear to be, but you’ll see why once they start relentlessly charging right at you. And guess what? They can also go through doors! So, yeah, I would definitely try to avoid them whenever possible, and in order to do so you had to utilize yet another new item added to this remade version of the Playstation original: a fuel canteen which complemented the classic lighter by allowing you to burn zombies’ bodies after shooting them down, and in doing so you would cease their chances at returning as Crimson Heads. Meet Lisa Trevor. Hands down, I truly believe she’s one of the most memorable and scariest BOWs in the series’ history– a history already filled with other classic noteworthy monsters like William and the aforementioned Nemesis. This poor girl was basically a guinea pig for Umbrella, and was injected with various viruses while she was held captive by them. And meanwhile, her daddy was busy designing the Spencer Estate. Yeah, the Trevors haven’t really enjoyed the ideal family life. Lisa’s story is tragic and disturbing in and of itself, which then leads to a boost in overall horror elicited by her presence once you do meet her. Hell, even when you just hear her scream for the first time you’ll have chills sent down your spine. I don’t know about you, but the first time I heard that eerie wail, I was ready to find the nearest type writer (which wasn’t that far), save, and call it a day. She wasn’t even mentioned in the original game, so it was actually quite surprising to confront her initially as she was a threat you just weren’t used to before. I mean, granted, you had Nemesis, Tyrants and William, but still, something about Lisa makes her stand out amongst the series’ memorable gallery of BOWs. The fact that we actually got to learn a considerable amount about Lisa pre-mutation(s), her uncalled for suffering, and about how she lost her family, made her character even more tragic and downright disturbing. You can’t help but feel bad for her as she continuously roams the depths of her father’s design-turned-Umbrella stronghold. Another thing that made the confrontation with her even more unsettling was that you really couldn’t successfully kill her in the traditional sense. Another neat, and horrifying, thing about Lisa is that she was a neat combination of the memorable BOWs that came before. While she wasn’t the smartest, she presented a level of intelligence comparable to Nemesis. She also had the brute strength of your classic Tyrant. And she also shared an aesthetic similarity with William Birkin, with a protruding eye-ball-like tumor visible on her back. Essentially, she’s a Frankenstein monster, made up of many components already encoded into other classic bosses we’ve faced before. Tyrant may have been the main threat at the end of the game, but to me, Lisa will always be the most memorable BOW I faced in the REmake. 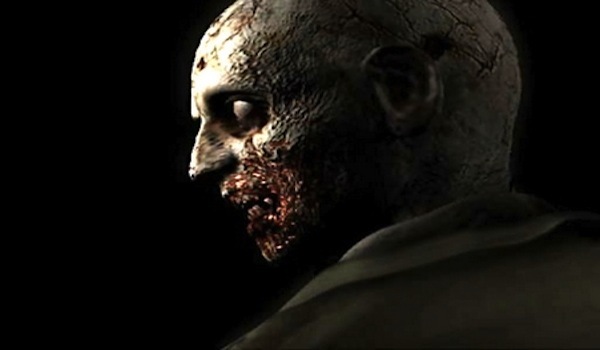 That’s my pick for the scariest Resident Evil game of all time, and my reasons why. But which entry in the series is your personal pick for such a title? Do you share my feelings for the REmake, and also feel like it’s one of the best survival horror games of all time? Or maybe you prefer one of the titles from the PlayStation trilogy. Hell, I’ll admit that it was a tough pick for me since I also found, and continue to find, Resident Evil 2 as a true testament to horror. Resident Evil 2 would’ve also been a natural pick for me since it happens to be my favorite game of all time. But alas, I went with the REmake. Be sure to share your personal pick in the comments section below and stay tuned as we prepare to head into the month of November, which is quite an important month for us here at Rely on Horror, since, you know, it marks our two-year anniversary and all. I hope you all had a fun and safe Halloween!